The count of one column for high-dimensional datasets, i.e., the number of records containing this column, has been widely used in numerous applications such as analyzing popular spots based on check-in location information and mining valuable items from shopping records. However, this poses a privacy threat when directly publishing this information. Differential privacy (DP), as a notable paradigm for strong privacy guarantees, is thereby adopted to publish all column counts. Prior studies have verified that truncating records or grouping columns can effectively improve the accuracy of published results. 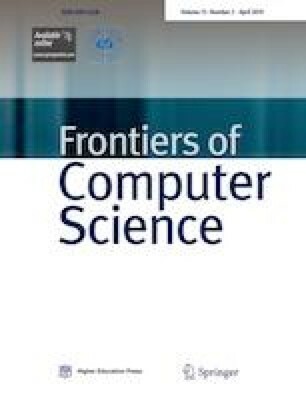 To leverage the advantages of the two techniques, we combine these studies to further boost the accuracy of published results. However, the traditional penalty function, which measures the error imported by a given pair of parameters including truncating length and group size, is so sensitive that the derived parameters deviate from the optimal parameters significantly. To output preferable parameters, we first design a smart penalty function that is less sensitive than the traditional function. Moreover, a two-phase selection method is proposed to compute these parameters efficiently, together with the improvement in accuracy. Extensive experiments on a broad spectrum of real-world datasets validate the effectiveness of our proposals. Ning Wang is a PhD Candidate in computer software and theory at Northeastern University (NEU), China. She received her BE and ME degrees from NEU in 2007 and 2013. Her current research interest lies in data privacy protection. Yu Gu received the BE, ME and PhD degrees in computer software and theory from Northeastern University (NEU), China, in 2004, 2007, and 2010, respectively. Currently, he is a professor in NEU. His research interests include graph data management and big data analysis. Jia Xu received the PhD degree in computer science from Northeastern University, China in 2013. She is currently an assistant professor with School of Computer, Electronics and Information, Guangxi University, China. Her research interests include data query processing and data privacy protection. Fangfang Li received her PhD degree in computer software and theory from Northeastern University (NEU), China. Currently, she is a lecturer in NEU. She is a member of CCF. Her current research interests include CPS database management, recommend system and complex event processing. Ge Yu is a full professor and a PhD supervisor in the College of Information Science and Engineering, Northeastern University, China from which he received his BS and MS degrees in computer science and technology in 1982 and 1985, respectively. He received his PhD degree in computer science from Kyushu University, Japan in 1996. He is a fellow of CCF, and a member of ACM and IEEE. His interests include distributed and parallel database, OLAP and data warehousing, data integration and graph data management, etc. He has published more than 200 papers in referred top journals and conferences, such as ACM SIGMOD, VLDB, ICDE, TKDE and VLDBJ. Also, he is an invited reviewer for many journals and conferences. Supplementary material is available for this article at https://doi.org/10.1007/s11704-017-6591-x and is accessible for authorized users. This work was supported by the National Natural Science Foundation of China (Grant Nos. 61433008, 61472071 and U143520006), the Fundamental Research Funds for the Central Universities of China (161604005 and 171605001), and the Natural Science Foundation of Liaoning Province (2015020018).